The goal of Behavioral Health is to provide care for a variety of emotional and psychological challenges. We provide support through crisis intervention as well as mental health wellness and recovery services. Within the first year of the Full Service Partnership Program, participants experienced a 90% drop in mental health emergency related visits to the emergency room and crisis stabilization unit. Behavioral Health accomplishes its goals by providing access to age appropriate services, ensuring the quality of those services through its quality assurance plan and educating patients about their rights. Behavioral health also emphasizes prevention through the implementation of its mental health services act programming. Provides a safe therapeutic environment for clients experiencing a mental health crisis so they can become stabilized and connected with ongoing support. The CCRU is open 7 days a week 24 hours a day and is available to anyone regardless of ability to pay. CCRU staff are specially trained in crisis mental health assessment and intervention including; suicide prevention, and coping skills. Behavioral Health services designed to meet the needs of children, teens and young adults, ranging from ages 2-25 are available through the County. We provide in home, rehabilitative and case management services. These services focus on building children’s skills to reduce symptoms, and promote personal independence and increase level of functioning. We also coordinate with other organizations including; schools, child welfare services, and private practitioners in the community. This allows us to identify potential clients and link existing clients to services. We believe that a child’s success with treatment requires a multi-disciplinary approach with family involvement. That is why our programs are provided in partnership with the child or youth’s family or guardian and delivered in both individual and group settings. Youth Empowerment Services Center – A program for Transition Age Youth (TAY) ages 16-25. The Center is open 5 days a week and offers a variety of rehabilitation groups designed to help youth learn how to reduce symptomology and improve their quality of life. Additionally, TAY in this program learn valuable life, social, coping, and employment skills through social events, drumming groups, peer support, employment coaching, and skill building. Behavioral Health offers a wide variety of clinical services for adults. Services are geared toward meeting the needs of individuals suffering from persistent and severe mental illness. Treatment is available for mental illnesses including co-occurring disorders where an individual has both a mental health and a substance issue. Treatment is also available for those who have been experiencing psychotic episodes. First Episode Psychosis Program – The word psychosis is used to describe conditions that affect the mind, where there has been some loss of contact with reality. The first episode psychosis program is designed for individuals who have experienced a psychotic symptom for less than 5 years and are between the ages of 15-30. In this program, individuals receive specialized assessments, case management, therapy and medication. Full Service Partnership Program – A program designed for individuals who have been diagnosed with a severe mental illness and would benefit from an intensive service program. The foundation of Full Service Partnerships is doing “whatever it takes” to help individuals on their path to recovery and wellness. Full Service Partnerships embrace client driven services and supports with each client choosing services based on individual needs. The program targets those who are homeless or at risk of homelessness, involved in the criminal justice system, have continuous use of the emergency room due to mental health, at risk of institutionalization and/or have continuous use of the CCRU. Wellness Center – A client driven wellness center is available to our adult and older adult clients. At the wellness center, peer and staff led groups are available and activities include drumming, life skills education, education on symptom management, Moral Reconation Therapy, Wellness Recovery Action Planning WRAP), and employment training opportunities. Supports for adults suffering with mental illness include a variety of housing services for those who meet the criteria and are actively participating in treatment. Housing supports are designed to prevent behavioral health clients from returning to or falling into homelessness. Additional supports for clients include community resource referrals. County Behavioral Health services are open to Tehama County residents and Medi-Cal beneficiaries. Eligibility is determined through our assessment process to identify if an individual has a severe and persistent mental illness or is a child with severe emotional disturbance. You can access services by calling 1-800-240-3208. The first step in the process is to have an assessment, these assessments can happen either by walk in or by appointment. 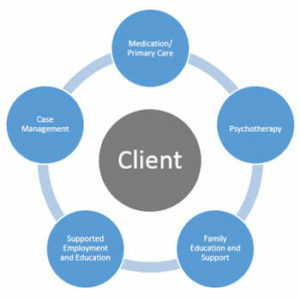 Once an assessment is completed and the individual’s unique needs are identified, a plan for treatment and services can be developed. Depending on eligibility, treatment and ongoing service may take place with the County or with an outside provider. Tehama County Health Services Agency strives to provide quality services to their clients in a respectful and compassionate manner. We accomplish this by conducting chart audits, reviewing services to make sure they are in compliance with state and federal regulations and investigating client grievances. If you are not happy with your mental health services you have the right to file a grievance or an appeal by contacting the Tehama County Health Services Agency Quality Assurance Manager at 530-527-8491 x2014. You may also request a patient rights advocate by calling 530-824-5451. Patients who have a complaint or a problem can, depending on the nature of the problem, file a grievance or an appeal. To learn more about how to file a grievance or appeal please review our “Member Problem Solution Guide” located in the publications section of our website. California State Proposition 63 the Mental Health Services Act (MHSA) was passed in November of 2004. It provided counties throughout the state with additional funding to deliver mental health services. There were nine specific areas that counties would need to focus their efforts on. These areas include access to services, housing needs, employment, outreach, full service partnerships, prevention and early intervention, workforce education and training, capital facilities and technology and innovative practices. Through a collaborative stakeholder planning process the following areas were identified as needing attention: permanent housing for mental health consumers, providing mental health services in outlying areas of the county, helping consumers obtain meaningful employment, outreach and engagement on how to access mental health services, the need for on- site hospital assessments, need for additional services on weekends as well as the need for specialty services for dual diagnosis and tele psychiatry and finally staff training and development. To learn more about the activities associated with addressing these needs please review our Mental Health Services Act Plan located in the publications section of our website. 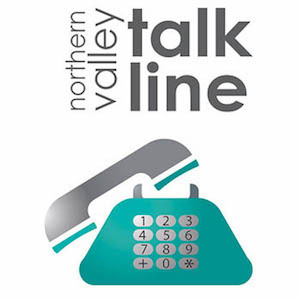 The County Mental Health Board will hold public hearing after the close of the 30-day public comment period on Wednesday May 22, 2019 , from 12:00 -1:00 p.m. at Vista Way Recovery and Wellness Center (1445 Vista Way, Red Bluff CA). At that meeting, the County Mental Board voted to recommend that the Board of Supervisors approve this Three-Year Plan and Annual Update.